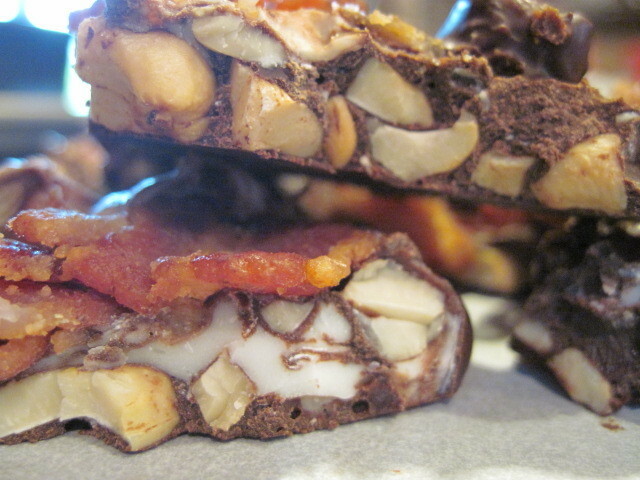 Chocolate, cashews….and BACON? Oh Gross!!! Not so fast ~ This is super easy and you won’t believe how D-licious this is. Sweet and salty. Nothing scary about that! 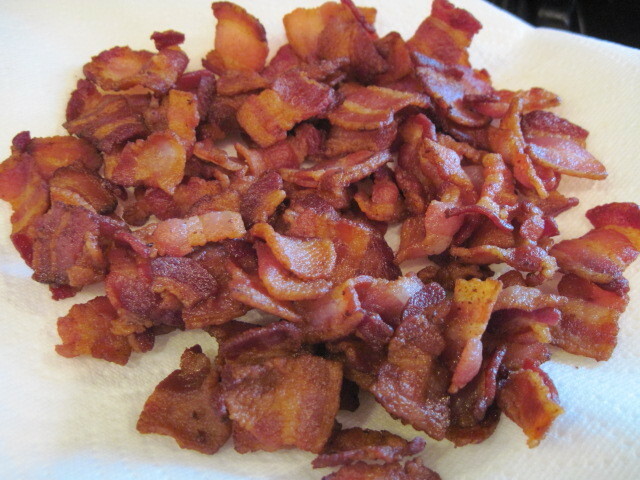 -Cook your bacon until crisp and drain on a paper towel. 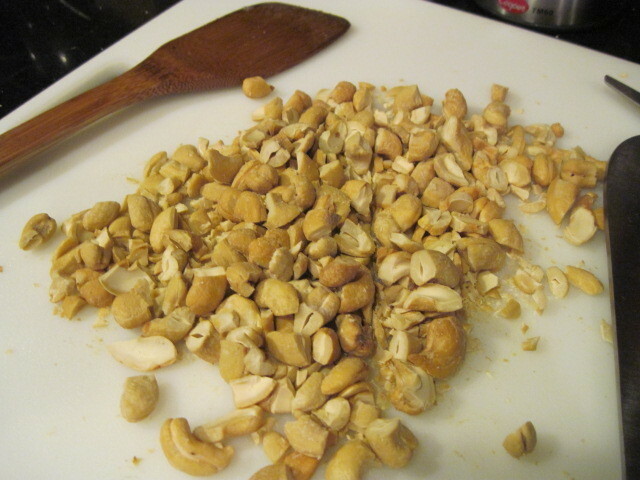 -Chop your cashews making sure not to cut them too small. 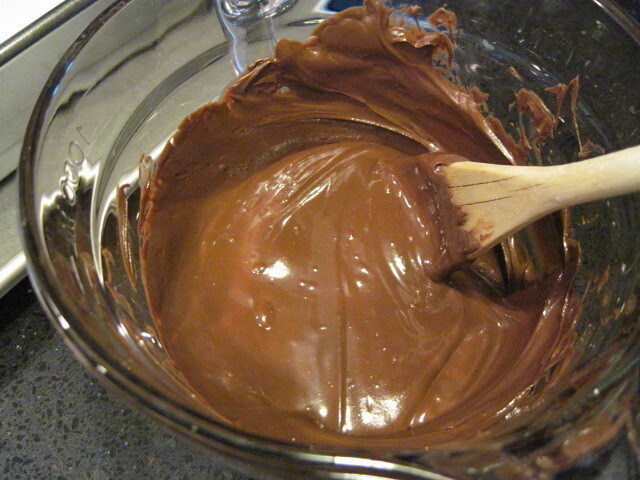 -Melt your chocolates in a microwave safe dish in the microwave on medium power. Check and stir every 30 seconds and remove when just melted. 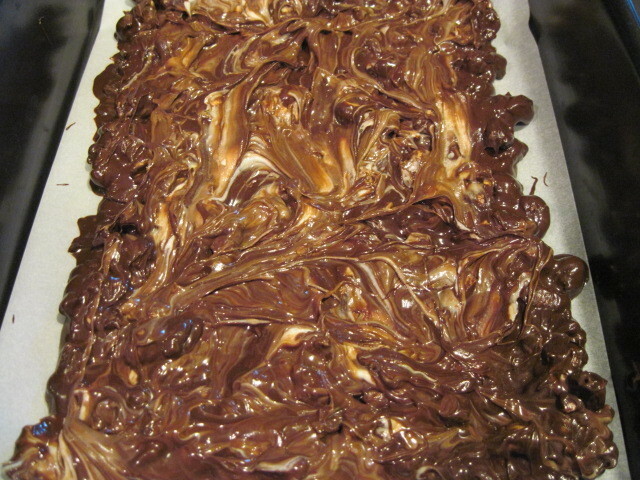 -Stir the cashews into the semi-sweet melted chocolate and pour out onto a parchment lined cookie sheet. -Top the semi-sweet cashew mixture with the white chocolate. 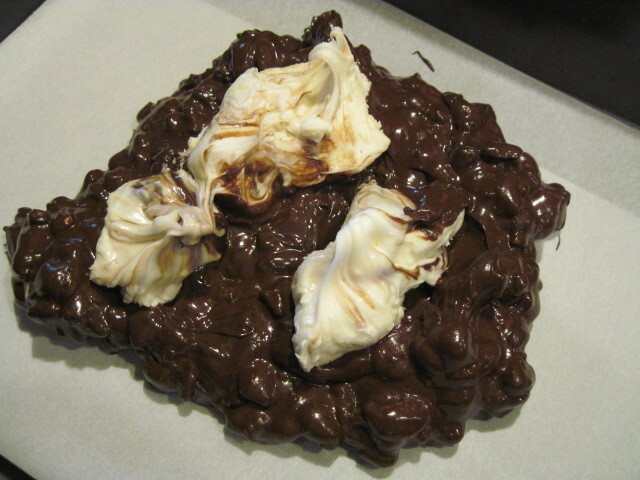 -With a spoon or knife, work the two chocolates together while thinning and spreading them into a rectangle shape on the parchment paper. 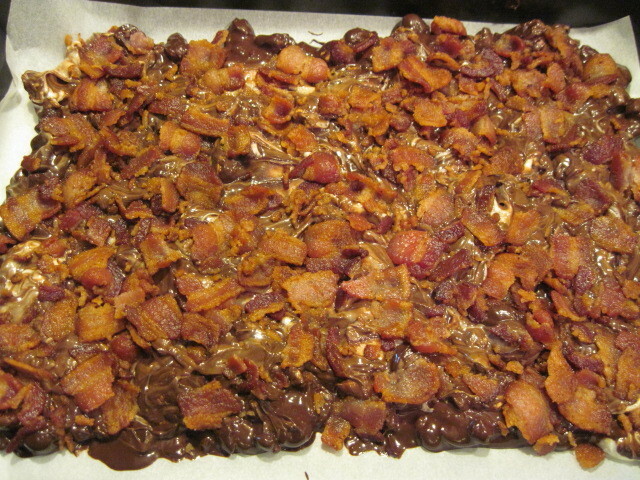 -Top the chocolate mixture evenly with your cooked and crumbled bacon. -Chill in the fridge until set. -Break into pieces and serve. Don’t forget to watch the faces of your family and friends when they notice the combination of ingredients here. At first, they won’t believe their eyes and then they won’t believe their taste buds when they see how good this is. Surprise! Eewey never tasted so good! This is definitely going to appeal to the bacon-aholics amongst us, for sure! I'm a fan of bacon in everything! So creative! Love the sweet/salty combo! 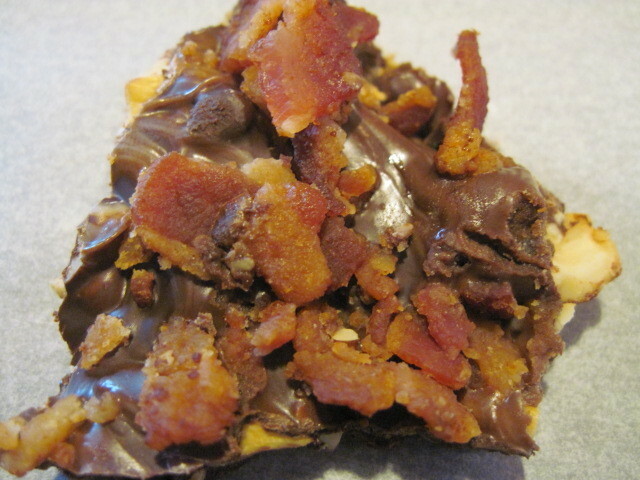 Combining salty and sweet is great and to do it with bacon and chocolate is the greatest!